AS A RESIDENT, Lindsey Rearigh, DO, remembers fielding what seemed like a constant stream of calls from nurses about whether a patient really needed to be on telemetry. Nurses, after all, had to free up both telemetry beds and boxes for patients waiting to move from the ED or the ICU. Dr. Rearigh quickly learned what experts in high-value care have maintained for years: “A lot of the time, people order telemetry ‘just in case,’ as a safety blanket,” not because patients have one of the indications for in-hospital telemetry spelled out in the published practice standards from the American Heart Association (AHA), which were updated in 2017. “We feel if we put patients on telemetry, it means they will be taken better care of,” adds her former associate program director at Mercy Medical Center-Des Moines, Chandan Mitra, MD, MPH. But the opposite may be the closer to the truth. Telemetry tracks heart rhythm, not vital signs, mental status, respiratory condition or anything else hospitalists may be worried about. Overreliance on telemetry may mean patients are not getting the clinical monitoring they really need. Plus, telemetry may contribute to a host of well-documented health system problems, including ED gridlock and wasted resources. Downstream problems can range from missed emergencies due to alarm fatigue, false alarms prompting overtesting, and medical complications arising from sleep deprivation, immobility and unnecessarily long lengths of stay. There’s strong consensus that telemetry is being overused. The Society of Hospital Medicine five years ago included inappropriate telemetry as one of its “Choosing Wisely” recommendations. Moreover, hospitals commonly find that between 30% and 50% of the patients on telemetry at any given point in time “should not be being monitored,” says Remus Popa, MD, a hospitalist at Riverside Community Hospital in Riverside, Calif. The problem is not reluctance from clinicians, who overwhelmingly believe the data once presented with evidence, or from patients, who generally dislike being hooked up to uncomfortable boxes and all the beeps and alarms. Instead, the big barriers are the complexities inherent in trying to alter multiple order sets in proprietary EMRs or in conflicting health system policies that make it difficult or impossible to let orders expire passively. There are also logistical problems that crop up when orders end in the middle of the night, local culture that has made telemetry the default bed choice, and even apathy on the part of some administrators or clinicians who don’t see overuse as a big problem. Then there’s this problem: Some insurers pay more for patients on telemetry. Another big reason telemetry is used too liberally is because it can be ordered by anyone for anybody and for any length of time. Clinicians rarely have to specify the reason for an order, and orders rarely time out. That’s the case in many hospitals. Until recently, for instance, the EMR at Wisconsin’s Marshfield Clinic Health System was programmed to automatically admit every patient with telemetry, an order that doctors had to uncheck. In Daytona Beach, Fla., admitting physicians at Halifax Health historically didn’t even have to think about that choice. Until recently, ED physicians traditionally would voice a “bed placement preference” for patients needing admission and, just like that, a patient would be on telemetry. At Marshfield Clinic Health System, Sunil Pathak, MD, a third-year internal medicine resident, worked to get telemetry deselected as his EMR’s default choice. According to an abstract presented at this spring’s SHM meeting, that simple fix cut telemetry orders last year by 17%. At Halifax Health, “emergency physicians can express a bed preference, but the final order now has to come from the admitting physician,” explains hospitalist and chief medical information officer Ginny Kwong, MD. She presented details of her efforts as an abstract at the 2018 SHM meeting as well. Most hospitalist-led quality improvement projects that target overuse rely on two sets of interventions. The first focuses on the initial order, mainly by requiring physicians to state a reason for telemetry or to choose from an electronic drop-down box listing acceptable indications. The second aims to limit the amount of time patients receive telemetry, either by setting the orders to automatically expire after 24, 48 or 72 hours (depending on AHA practice standards), or by flagging the patient list or creating pop-up reminders that prompt clinicians to consider discontinuing telemetry. All efforts also include clinician education. Pennsylvania’s WellSpan York Hospital changed its computerized order entry system to both require physicians to pick an indication for telemetry from a drop-down list and to actively reorder the monitoring after an automatic expiration. But until that change, patients on telemetry stayed on, sometimes for weeks. “Prior to our initiative, the primary reason patients came off telemetry was discharge,” says Alyssa Moyer, MD, the hospitalist who spearheaded the CPOE project in 2014 and is now chair of the department of medicine. Nurses’ comfort level grew with evidence-based “time-outs,” with Dr. Moyer and her team spending time validating that patients did not have more cardiac events or more transfers back to intensive care as a result of the changes. She points out that her hospital findings are consistent with national data. Educating and empowering nurses to flag patients who should or shouldn’t be on telemetry was part of Dr. Popa’s project to reduce telemetry overuse a few years ago at the University of California, San Diego (UCSD), where he used to work. At UCSD, he notes, it is now nurses’ job to tell doctors which patients they believe should be disconnected from telemetry and which have expiring orders they think should be renewed. He is now working to similarly revise the telemetry ordering process at Riverside Community Hospital, where he has worked since July 2016. 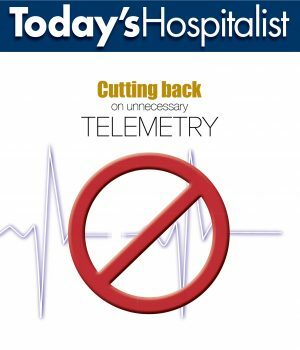 But because telemetry overuse is different in the two hospitals, the fixes aren’t quite the same. At Riverside, for instance, about 60% of the renewal orders lack an indication, while only 20% of initial orders do. In San Diego, the focus was more on how to improve the initial orders. 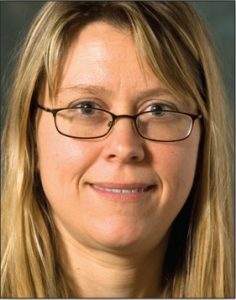 In the evidence-based implementation guide published in the July JAMA Internal Medicine, the first recommendation of its expert authors is this: Figure out a hospital’s specific cause of telemetry overuse and which of its generalist and specialist physicians, nursing groups, and IT and bed management staff need to buy in to address it. Other recommendations include incorporating indication-based electronic ordering, empowering clinicians to discontinue telemetry when it is no longer indicated and educating hospital staff about the AHA practice standards. Tables included in the article summarize those standards by the strength of their evidence. 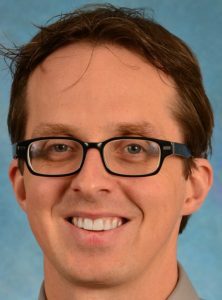 In Chapel Hill, N.C., hospitalist Michael Craig, MD, MPH, is working to decrease inappropriate telemetry monitoring throughout the University of North Carolina (UNC) hospital system. 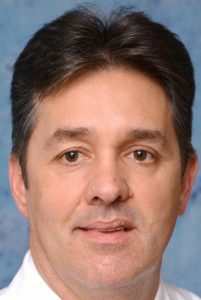 According to Dr. Craig, he and his colleagues have gotten some pushback from hospitalists who believe telemetry might help them monitor patients with certain medical conditions that aren’t captured in the AHA practice standards, such as those going through alcohol withdrawal or elderly patients with sepsis. “There is some debate about what medical patients are at risk for having arrhythmias, but that is really the only reason you should order telemetry: to monitor for heart arrhythmias in patients at risk,” he says. Dr. Craig, who presented those data as an abstract at this spring’s SHM meeting, says he’s not concerned about that high “other” rate and that he expected it to be even higher. And even though UNC allowed “other” to be a valid indication and to have “indefinite” be the default length of time of any telemetry order, the new order set has helped reduce both the daily number of patients on telemetry and the length of time those patients were being monitored. “It was not necessarily my ideal implementation,” says Dr. Craig, “but as a multi-hospital system, we had to accommodate different practice environments.” Even so, clinicians are “definitely not picking ‘indefinite’ as much” now as in years past. 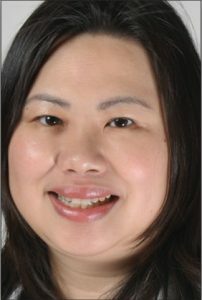 While reviewing the literature for this summer’s implementation guide, Dr. Yeow says he learned that anything that “prompts providers to critically think about the telemetry order” helps. “No one intervention is necessarily better than another,” he points out. “But when you combine interventions, that can lead to significant improvement in telemetry appropriateness and utilization.” The most common interventions, he adds, have been EMR drop-down menus and reminders that prompt review of telemetry orders. While it may take several different interventions to overcome psychological and logistical barriers, sustaining improvement has its own challenges. 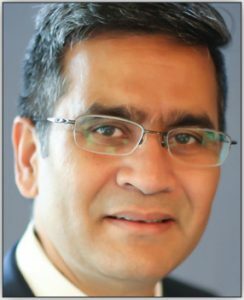 This summer, for instance, Marshfield Clinic Health System changed to a new EMR, and Dr. Pathak now must make sure that the changes that were made to telemetry orders in the old EMR make their way into the new one. Deborah Gesensway is a freelance writer based in Toronto who covers U.S. health care. • Involve everybody. That includes IT and financial operations staff as well as cardiologists, nurses, hospitalists and residents if you have them, says hospitalist Alyssa Moyer, MD, chair of the department of medicine at Pennsylvania’s WellSpan York Hospital. “Depending on your payer mix and type of hospital, you don’t want people to be surprised if there is a financial impact,” she points out. Some payers, Dr. Moyer notes, historically paid higher rates for patients on telemetry, while some hospitals may require different nurse-patient ratios for telemetry use. • Pay attention to details. Dr. Popa and his colleagues at University of California, San Diego, where he used to work, added a red heart icon to the patient list to alert clinicians when patients had active telemetry orders. But they didn’t realize that it was also important for nurses and doctors to know when those orders were set to expire. “It’s active, but what if it expires 10 minutes from now?” he says. Most people will just reorder to avoid having to scramble, which is also true with alarms and best practice alert pop-ups. “They can be OK, but there can be too many of them, and if you give doctors an opportunity to reorder from the reminder, they are more likely to renew even if the indication isn’t there.” The fix: Orders were set to not expire at night, and nurses have the option to add the telemetry order date and time to their patient list.